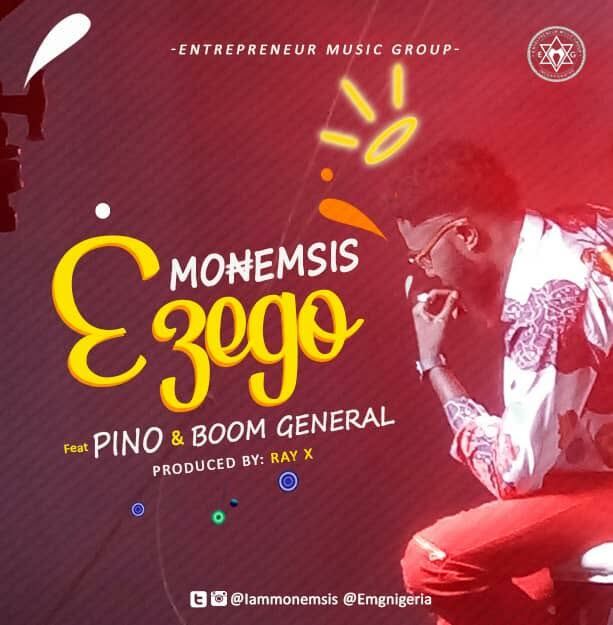 Download Music Video titled Ezego By Monemsis Featured Pino and Boom, Watch and download this video below. Ezego. Fast Rising Rapper Monemsis Drops A Certified Club Banger titled ‘Ezego‘, I Guarantee that You are going to break your replay button on this one, Because this song is going to be a Massive Hit Song. This song right here is for the Big Money Spenders, In the words of the iconic Nigerian Singer Small Doctor ”If you nor get money, hide your face”, There is no doubt that all through out the rest of this year this Song will be played in all Major Nigerian Night Clubs and Bars, DJ’s Go spin this one Tire, Ladies will whine and wiggle to this Because Ezego is the Boss, Thats All!!! Monemsis Born Emeka Monanu The Ezego 1 Of Anambra who is Signed to Entrepreneur Music Group dropped a viral song a while back titled ”Wokem” and it Got Over 500,000 Views on Youtube and racked up Millions of streams on Major streaming Platforms. There is no doubt that this song will finally Break Monemsis into the Nigerian Music Industry Big Time, The song also features assistance from Boom General and Pino, Naira Gang All Day!! !, The Video Was Shot And Directed By Adasa Cookey.